The Next Generation of R2-D2's? Steven (Chicagoland, United States) on 18 February 2014 in Miscellaneous and Portfolio. 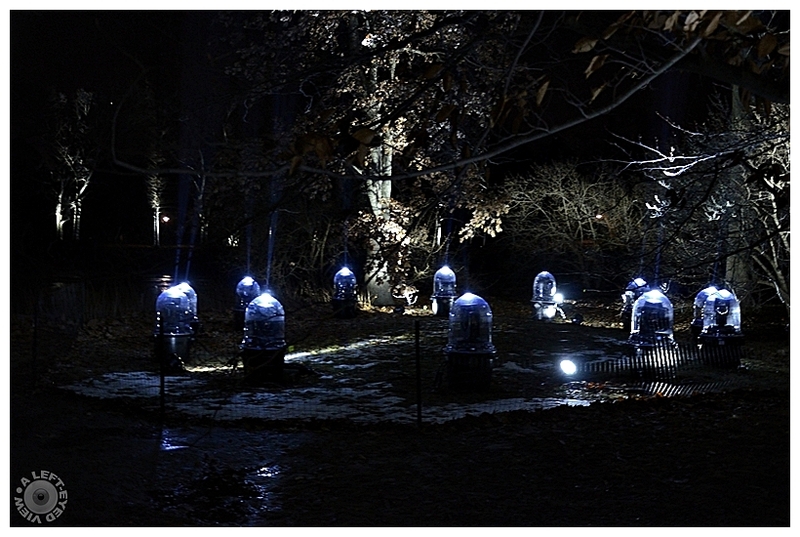 While attending the Morton Arboretum's Illumination Festival in Lisle, Illinois, we came across what appeared to be a circle of R2-D2 droids involved in a séance. For those of you who don't remember who R2-D2 was, he was a droid in the various "Star Wars" movies. What you actually see here is a circle of search lights that light up the trees in various changing, alternating colors. Photo captured December 28, 2013. Wow - well spotted and great shot. Uncanny resemblance to the Star Wars droid. :) well seen and well thought out ! I like the droid interpretation. Excellent shot for ST. Yes, they certainly look like droids. Funny title. Very good exposure. Du plus bel effet, belle luminosité. Ambiance science-fiction, tout à fait ! with beautiful lighting & reflections! Happy ST - they do look like R2D2! I'm curious about what they are planning to do ... Excellent capture and funny title, perfect for ST !!! Such a great ST shot, Steven. Love it. I would like to think it is an R2-D2 convention! Great shot! Happy ST Steven! I love it Steven !! Happy ST ! !